If America really cared about solving the problem of homelessness among its citizenry, here's an idea that would work. Oh- and that opening line references the fact that as far back as 2011 empty houses in America outnumbered homeless families by five times, according to Amnesty International. Anyway, let's say the problem with homeless people in America was a result of not enough housing. Then, this idea would work. 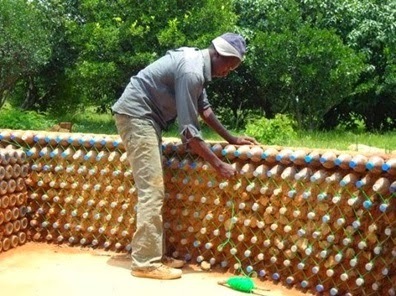 Did you know that you can make houses out of plastic bottles? 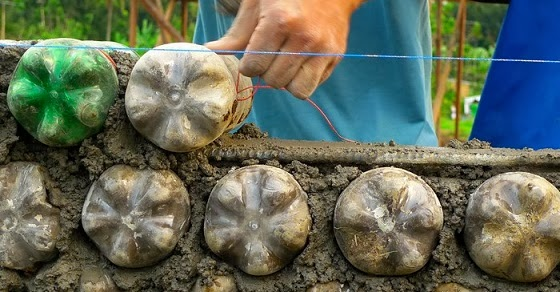 By filling them with sand, and molding them together with mud or cement, the walls created are actually bullet proof, fire proof, and will maintain an comfortable indoor temperature of 64 degrees in the summer time. To build a two bedroom, 1200 square foot home, it takes about 14,000 bottles. 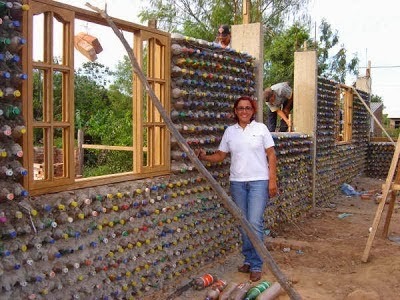 The United States throws away enough plastic bottles to build 9257 of these 2 bedroom houses per day! That’s just over 3.35 million homes, the same number of homeless people in America. 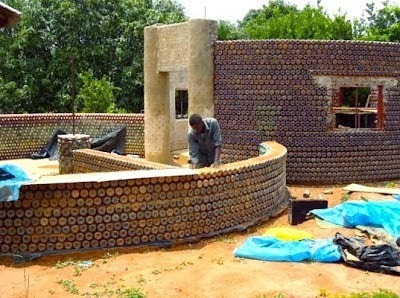 Many people in third world countries have taken up building homes out of plastic bottles, from Africa to Asia. Perhaps the trend will catch on in America and all of those bottles will stop ending up in the landfills. Wouldn't they be better off housing the homeless? Kinda like all those empty houses scattered all over the country?